Cambridge Stud graduate Mongolian Marshal’s performance in the Gr.3 Pencarrow Stud City Of Auckland Cup (2400m) on Tuesday will determine how far his stamina will be tested this campaign. The four-year-old son of High Chaparral mastered the distance of his latest Ellerslie assignment when decisively winning the Gr.3 Waikato Cup (2400m) at Te Rapa last start and he does hold nominations for both the Gr.1 NZ Campus For Innovation & Sport Wellington Cup (3200m) at Trentham on January 19 and the Gr.1 Barfoot & Thompson Auckland Cup (3200m) at Ellerslie on March 9. But co-trainer Murray Baker has already ruled out one of the 3200m tests. “He won’t be going for the Wellington Cup,” Baker said. “If we do try him at 3200m it will be in the Auckland Cup, but we’ll assess everything after this run. Mongolian Marshal is also entered for the Gr.1 Herbie Dyke Stakes (2000m), one of the two weight-for-age features at Te Rapa on February 9. Danzdanzdance followed up her Gr.1 Captain Cook Stakes (1600m) victory with an impressive win over Mongolian Marshal’s stablemates Lizzie L’Amour and the subsequently retired Jon Snow in the Gr.1 Zabeel Classic (2000m) at Ellerslie on Boxing Day. Whether or not Mongolian Marshal gets to join Lizzie L’Amour and other stablemates in the Herbie Dyke Stakes, the talented galloper has already established a fine record of five wins and six placings from 13 starts. He has been a model of consistency this campaign, notching three wins with a couple of seconds sandwiched between each of his wins. He won his open-class debut at Ellerslie over 1600m on November 6 and was runner-up to Igraine in the Gr.3 Counties Cup (2100m) at Pukekohe before turning the tables on the Te Awamutu-trained mare in the Waikato Cup. Mongolian Marshal has won two of his three Ellerslie starts and will again be ridden by Matt Cameron, who has been his regular rider this season. Baker and training partner Andrew Forsman have won 13 black type races this season and many punters believe they can add two more wins to the list on Tuesday. 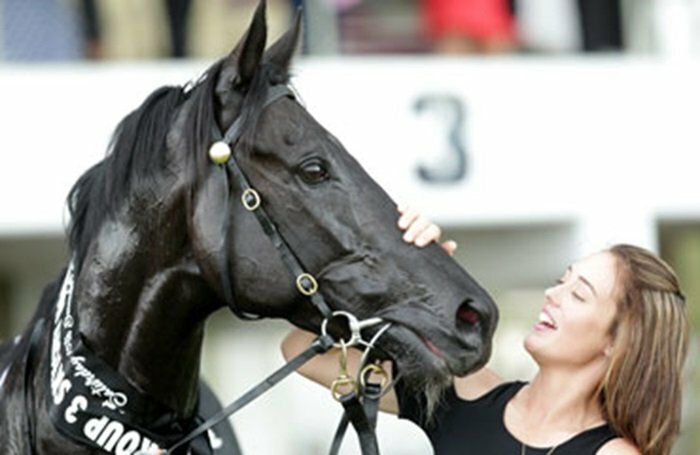 Mongolian Marshal is the $2.30 favourite on Fixed Odds for the City Of Auckland Cup. His dam Ardeche is in foal to Zoustar.